SEOUL, South Korea — With the Koreas, there's no separating their sports from their politics. The war-separated rivals will take their reconciliation steps to the Asian Games in Jakarta and Palembang, Indonesia, where they will jointly march in the opening ceremony and field combined teams in basketball, rowing and canoeing. "Sports have played the role of peacemaker between the Koreas," said Kim Seong-jo, vice chairman of South Korea's Olympic committee and the country's chef de mission at the Asian Games. "If the combined teams put out good performances and win medals, that would be putting the cherry on the top." North and South Korea have used sports diplomacy this year in a bid to decrease animosity and initiate a new round of global diplomatic efforts to resolve the nuclear standoff with Pyongyang. South Korea leaders consider goodwill gestures as crucial to keep the positive atmosphere alive for what could become a long and difficult attempt to persuade the North to give up its nuclear and missile programs. There's not much Seoul can do beyond such gestures, though, as joint economic projects are out of the question when lifting sanctions against North Korea is far beyond the South's control. The more substantial discussions on the North's denuclearization — including what, when and how it would occur— are always going to be between Washington and Pyongyang. 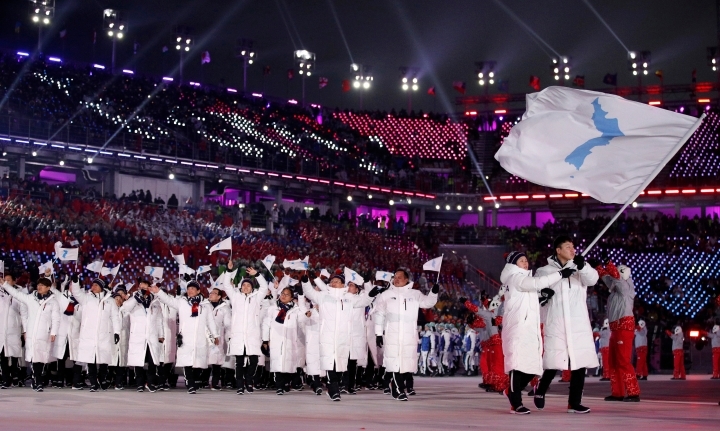 In the opening ceremony in Jakarta, athletes from North and South Korea will parade together under the flag featuring a blue map that symbolized a unified Korean Peninsula. It will be virtual repeat of the joint march during February's Winter Olympics in the South Korean ski resort of Pyeongchang, minus the gloves, parkas and fur hats. North Korean leader Kim Jong Un sent hundreds of athletes, artists and government officials to the Pyeongchang Olympics. The Koreas also fielded their first combined Olympic team in women's ice hockey, which drew passionate support from crowds despite losing all five of its games with a combined score of 28-2. 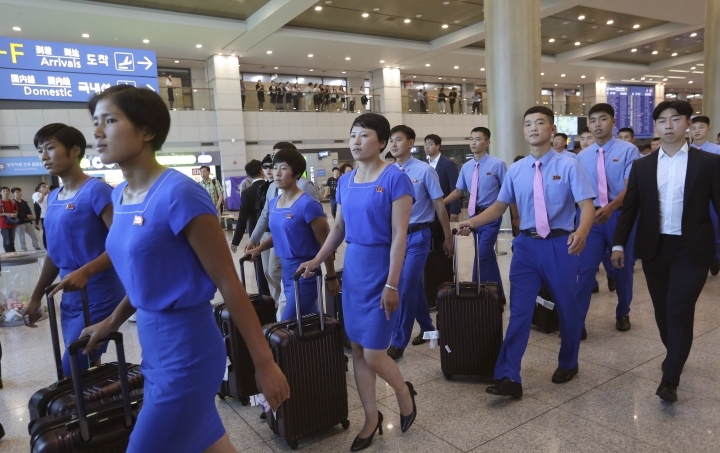 At the Asian Games, the Koreas will be expected to deliver more than just feel-good stories. There's pressure for the investment to yield gold. 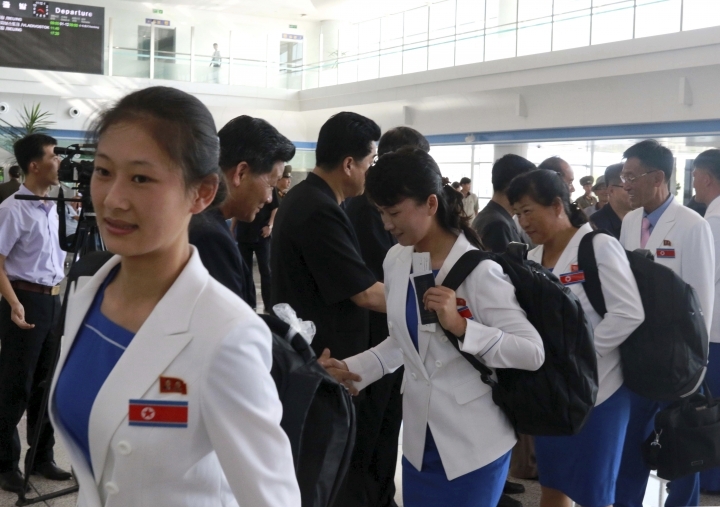 A group of 34 North Korean athletes, coaches and officials have been in South Korea since last month for combined teams in women's basketball and the men's and women's events in rowing and canoeing. Coach Lee Moon-kyu, who has retained a core of South Korean players who won gold at the 2014 Asian Games at home in Incheon, got a first-hand look at North Korean players during exhibitions in Pyongyang in early July. Lee later picked three North Korean players for the Asian Games squad, including center Ro Suk Yong. Lee will also have a North Korean assistant coach on his bench. The Koreans will face Taiwan, Indonesia, Kazakhstan and India in their preliminary group. South Korean forward Lim Yung-hui said the chemistry between the players has been improving. "The Northern players share the same goal of the gold medal and we talk a lot about how we should be putting out a good performance there," Lim said. "We weren't given much time, but we are practicing hard in a positive atmosphere." 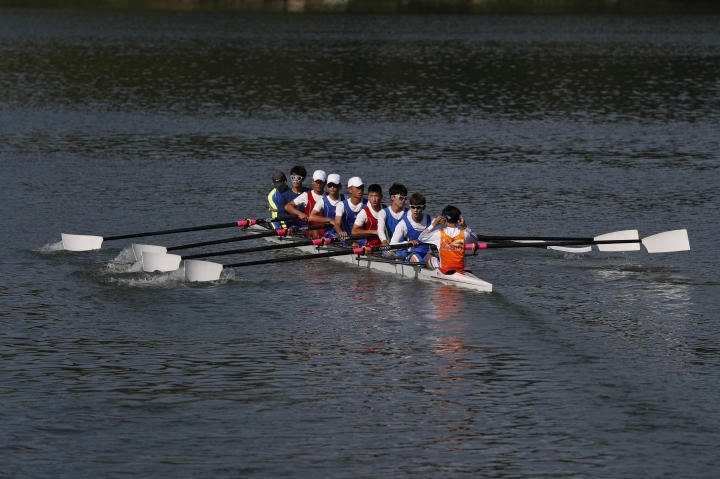 The Koreas will field combined teams in dragon boat events in canoeing and the lightweight men's four, lightweight men's eight and lightweight women's double sculls in rowing. 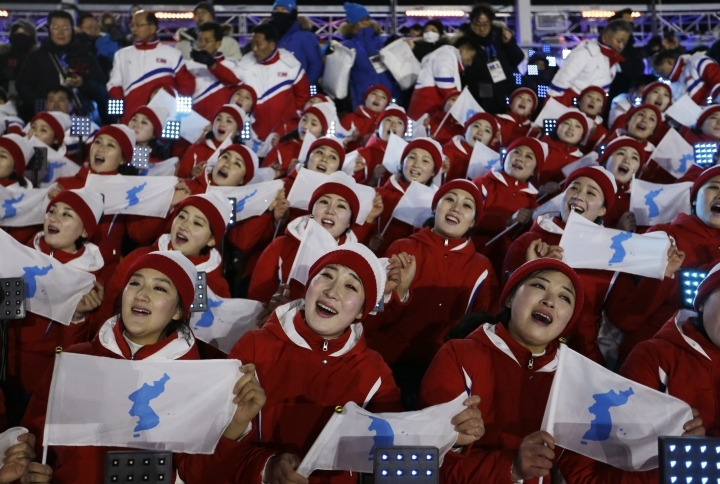 If a combined team wins gold, athletes on the podium will hear the traditional folk song of "Arirang,"used in both Koreas as an unofficial anthem for peace, instead of their respective national anthems. The Korean athletes are likely to become an attraction at the Asian Games, where the international media will follow closely. At the Pyeongchang Olympics, South Korean figure skater Kam Alex Kang-chan created a media frenzy by taking a selfie with North Korea's Kim Ju Sik and posting it on Instagram. The photo recalled a famous 2016 selfie taken by two North and South Korean gymnasts at the Rio Olympics which International Olympic Committee president Thomas Bach described as a "great gesture." The Koreas have a history of using sports to foster diplomacy since the end of the 1950-53 Korean War. The 1991 world table tennis championships in Japan were the first time the Koreas fielded a combined team at a major international event. The atmosphere wasn't always friendly, though. During the height of their Cold War rivalry and recurring periods of animosity since, sports often became an alternate political battlefield. North Korean athletes and coaches would reject handshakes with their South Korean competitors and berate South Korean reporters during news conferences. The sports detente of 1991 evaporated when a North Korean athlete who competed at the world judo championships in Barcelona defected and arrived in South Korea amid heavy media coverage. North Korea boycotted the 1986 Asian Games and the '88 Summer Olympics in Seoul, and relations dramatically worsened on the eve of the Seoul Olympics with the bombing of a South Korean passenger jet that killed all 115 aboard in December 1987. The inter-Korean warmth heading into this year's Asian Games contrasts with the awkwardness between the rivals surrounding the 2014 Asiad held in South Korea. Seoul's then-conservative government invited North Korean athletes to compete, but made it clear it had no interest in joint marches or combined teams. 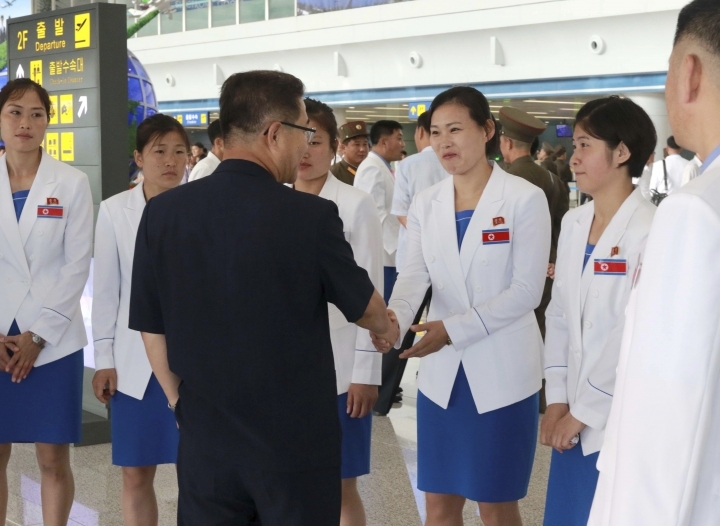 North Korean subsequently withdrew an offer to send its all-female cheering squad to Incheon after squabbling with the hosts over costs. North Korean leader Kim did send a senior government delegation to the closing ceremony, but they returned home without meeting then-South Korean President Park Geun-hye. The North was still seething over the Asian Game treatment years later as it gleefully observed Park's presidency crashing over a corruption scandal. "The Park Geun-hye group's mad confrontational racket is to blame for why (the North Korean) visit to Incheon did not result in improved relations," the North said in a statement in April last year. Kim has found a willing counterpart in Moon, a liberal who won the presidential by-elections to replace Park last year. Since the Pyeongchang Olympics, Kim has met Moon twice and leveraged the summits to get to U.S. President Donald Trump. 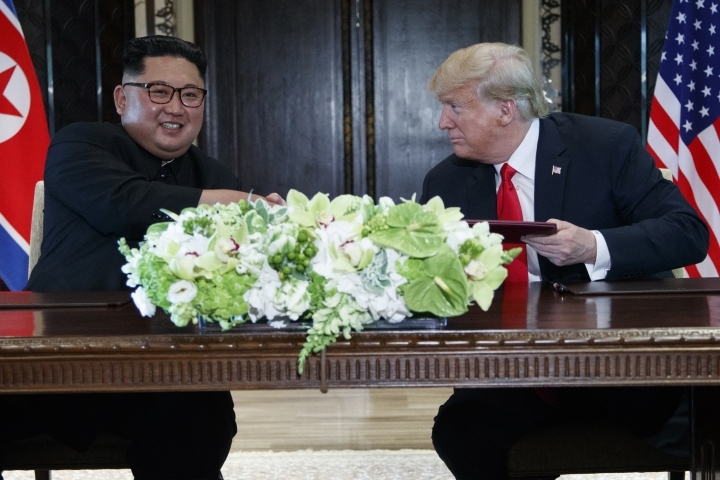 After their June summit in Singapore, Kim and Trump issued a vague aspirational goal for a nuclear-free Korean Peninsula without describing specific plans. Sports exchanges and other goodwill gestures are important policy tools for Moon, who wants Seoul to be in the "driver's seat" in international efforts to deal with Pyongyang. 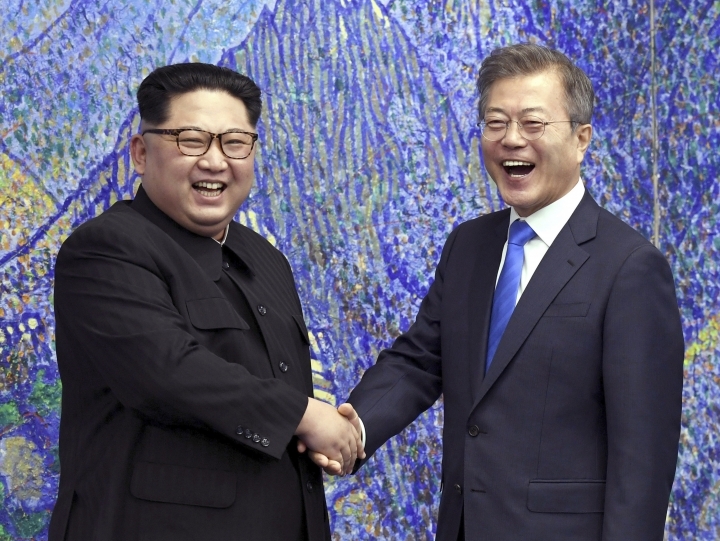 The Koreas have also agreed to resume temporary reunions between relatives separated by the war and are holding military talks to reduce tensions across their heavily armed border. 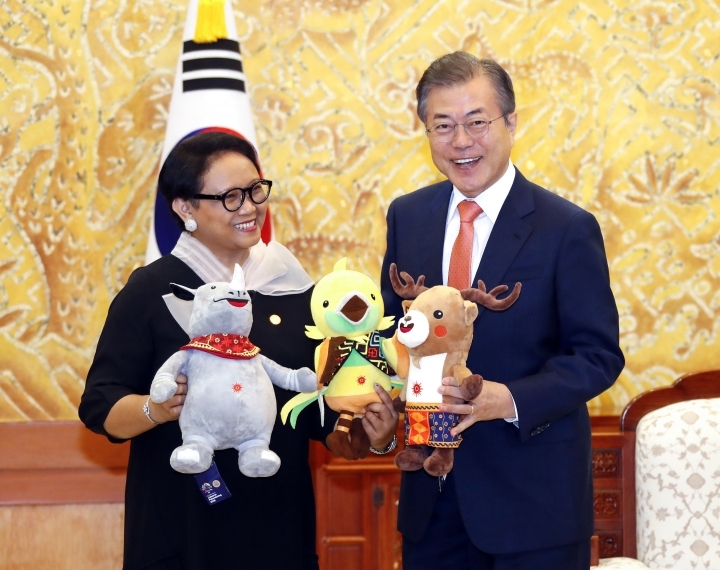 "Hopefully, (the Asian Games) will provide an opportunity to use sports to facilitate diplomacy and cooperation," Moon said while meeting Indonesian Foreign Minister Retno Marsudi in Seoul last month. Seoul's presidential office hasn't announced yet whether Moon would attend the opening ceremony in Jakarta on Aug. 18. Whatever happens in Indonesia or with nuclear negotiations between Washington and Pyongyang, the Koreas will always have those heartening selfies posted by athletes. "Sports can be used to build momentum and trust, but they don't solve fundamental problems," said Koh Yu-hwan, a North Korea expert at Seoul's Dongguk University and a policy adviser to Moon. "There's not much South Korea can currently do, but at least it's trying to actively do the things it can to keep the positive atmosphere alive. "